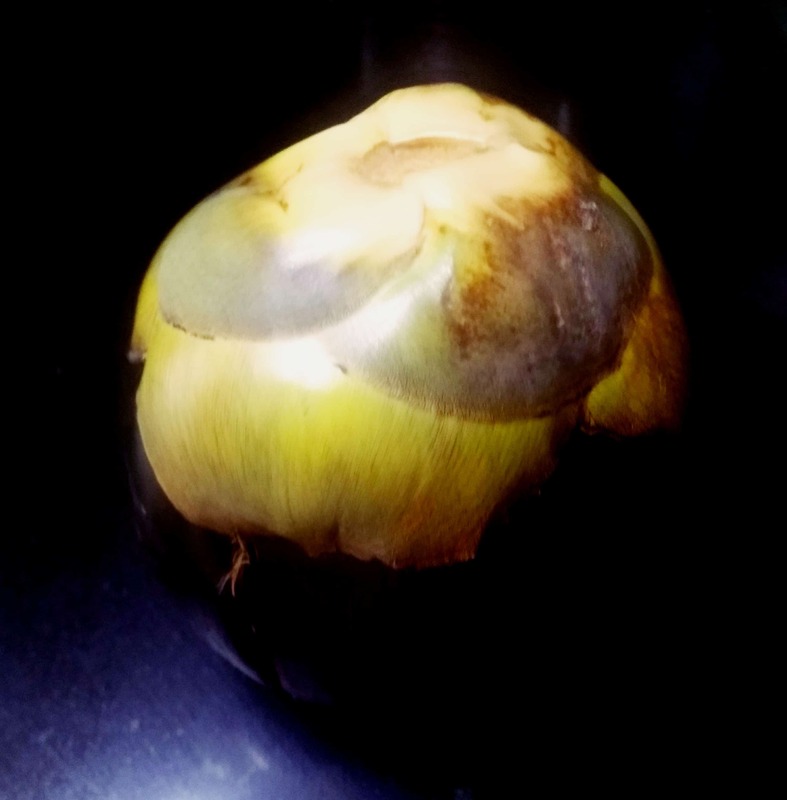 Palmyra fruit also called Toddy palm in the Konkan region and “Taal ” in Bengal and Ice apple in English is a versatile fruit. 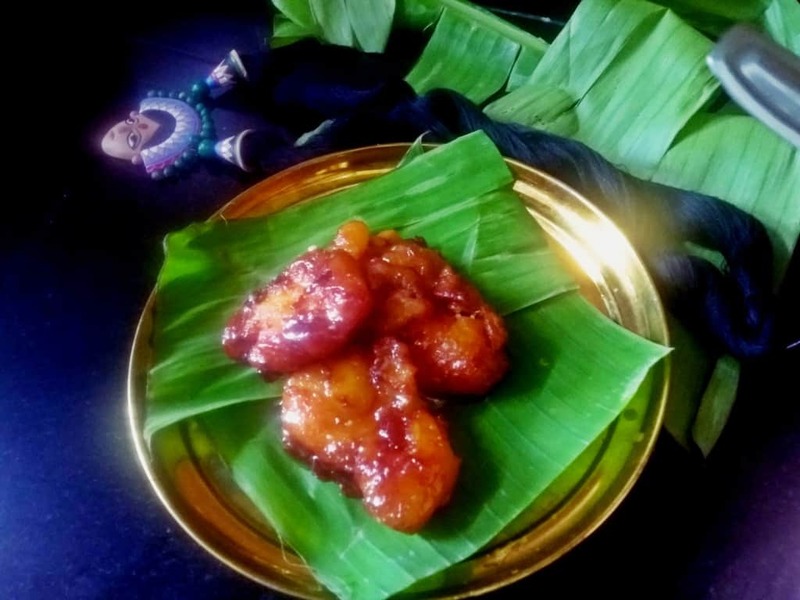 This tree is a native of India and almost all the parts of the plant are put to use. The sap of the tree is used to make toddy which is an alcoholic beverage popular in the Konkan coast of India. 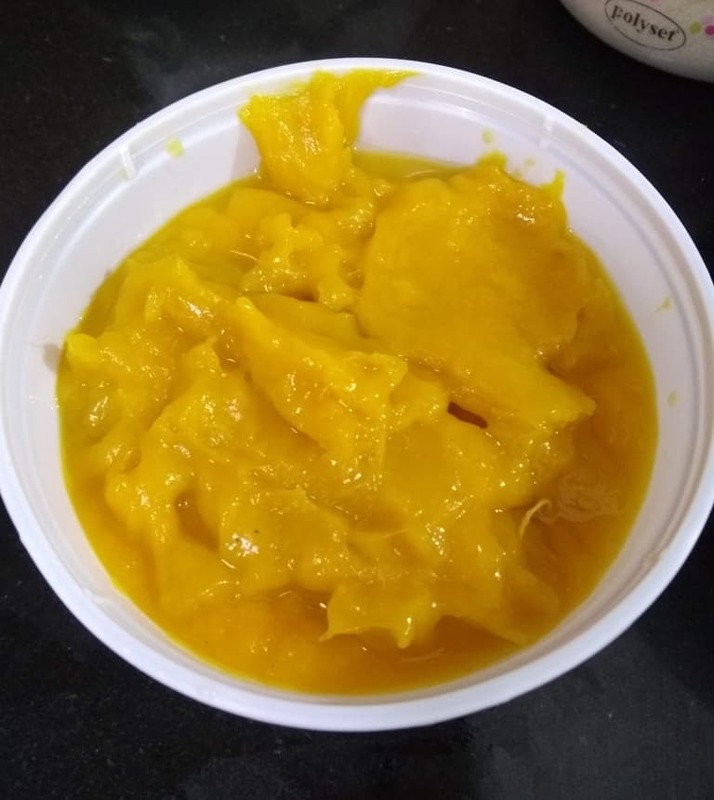 Each fruit has 3 seed sockets which contains a jelly like seed when raw.This jelly like pulp is consumed as a fruit or as a drink in the Western coast of India.As the fruit ripen in the month of July ,August ,the seed hardens and is covered with a juicy orange fibrous pulp .In Bengal during monsoon thick juice is extracted from the pulp and sweet dishes are prepared from it. 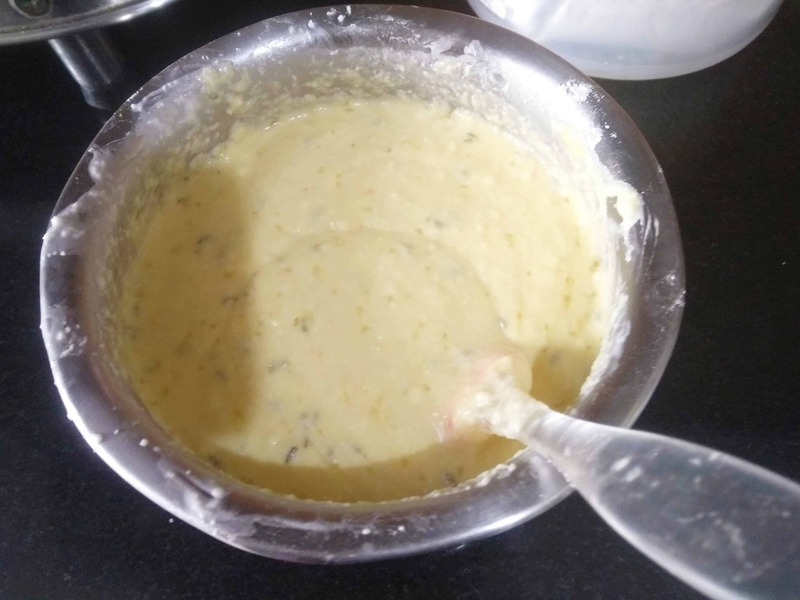 the pulp is mixed with rice flour and fritters and sometimes thickened with milk to form kheer. 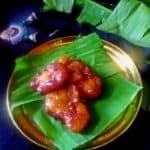 In this post I will show you how to prepare Taler Malpua which is a traditional Indian sweet dish. The extraction of the pulp from the food is a task and requires patience and time. 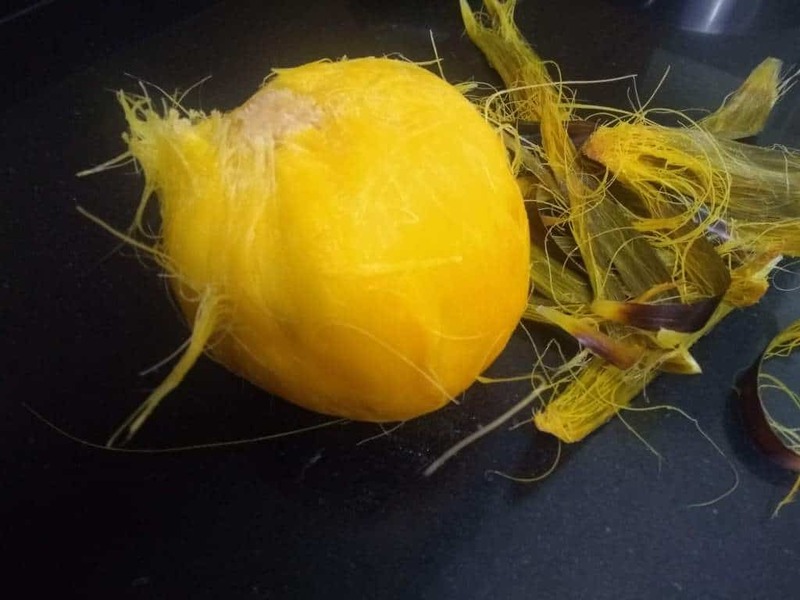 Due to this reason the sweet dishes from palmyra fruit are rarely prepared these days in urban household. Rub one seed at a time over grater to extract the thick yellow pulp. After extracting the pulps from all the three seeds ,strain the pulp through a fine strainer or cloth. the raw pulp has a little bitter taste, so heat the pulp with sugar(1 cup with 1/2 cup sugar) over slow heat and stir for 5 minutes .You can add some milk also if you find it too thick. for the sugar syrup boil water and sugar together till it forms a thick syrup. When touched with two fingers the syrup should form a single string. Mix all the ingredients together and form a uniform batter. if the batter is too thick ,Add milk to loosen the batter. Add a spoon to the hot oil to make crisp malpuas.